As someone who started out Xenoblade Chronicles 2 completely new to the Xeno franchise, I had no idea I’d get so hooked by it. I usually dive deep into games with social elements like Persona 5 and Blue Reflection, both being games that I’ve actively decided I want to put the time into platinuming and thus expected myself to be playing in my spare time. Instead, I’ve found myself every time I’ve had free time wanting to pick up Xenoblade Chronicles 2 to chip away at something, whether it be quests or filling affinity charts, and wanting to dive more and more into its world. I definitely enjoyed Xenoblade Chronicles 2 a fair bit but I didn’t expect to be as into it as I am, so with this thought in mind, here are some reasons why I think Xenoblade Chronicles 2 has kept me hooked on it months after its release (and why you might still be too). If you’ve ever been any kind of completionist, you’ve probably enjoyed mentally checking off things you’ve finished doing like I do. There’s a lot of satisfaction to be had in getting all monsters or ticking off tasks in a big quest and these are all things that are easy to keep track of in Xenoblade Chronicles 2. 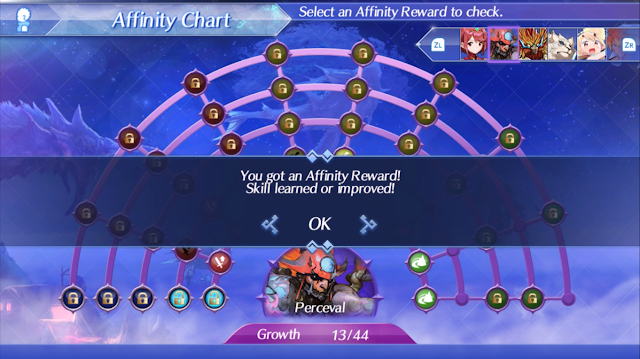 With both mental and real boxes to tick off in quests or in lists such as the Blade List, it’s very easy to track your progress in Xenoblade Chronicles 2’s world and with how easy it is, things like seeing less nodes needing to be unlocked on an affinity tree give me reasons to come back and try get what I can easily see I’m missing. Other games make it easy enough to see how you’re progressing as well, but as someone who often uses trophies with Playstation games to track which things I’d like to do to feel like I’ve completed a fair amount of the game, it’s nice to be able to see how I’m going with certain things like blade collection as I choose which things I want to do. Speaking of collecting things, what makes Xenoblade Chronicles 2 so fun to collect things in is the quality of its collectibles. A lot of this is because its main weapons are not just swords, spears and things to hit enemies with; they’re the blades that travel with you on your journey. And these blades are more than just weapons a lot of the time, as the Rare Blades I’m trying to collect often have their own story in their blade quests or at least have their own personalities to be found in Heart-to-Heart events or little moments found around the map that incorporate them. 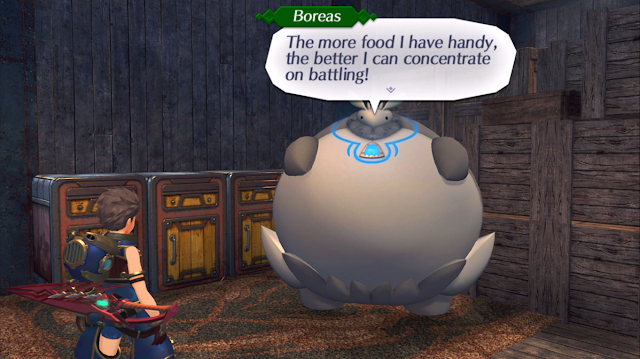 It’s this development of each Rare Blade that makes them the ultimate collectible for me and even before finding their quests, blades like Boreas have surprised me with how much I’ve come to like them from the little ways their personalities are displayed in small moments. And with such a great thing to collect comes a method of collection that hooks me more often than not in the form of Core Crystals that summon rare and common blades with their random results. I’m the kind of person who doesn’t mind toy or plushie boxes that come with certain characters at random in my real life, so Core Crystals provide the slight addictive rush of hoping I’ll get a new Rare Blade, which I don’t mind too much when real money isn’t involved. 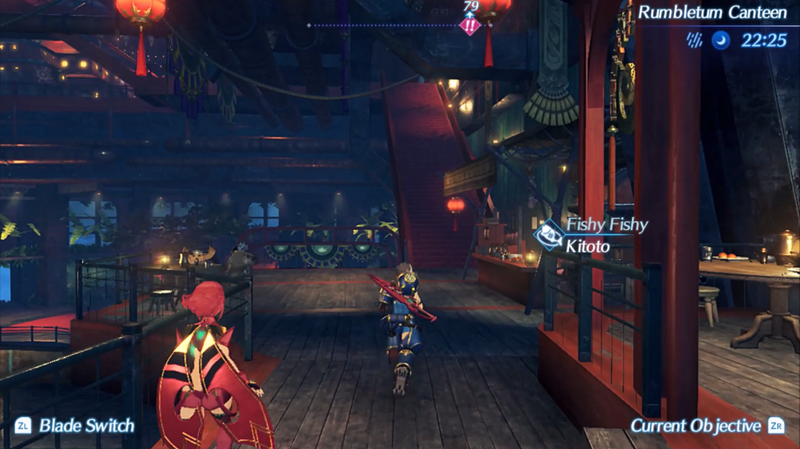 Regardless of if it’s a good system or not, I know from experience that this kind of chance-based mechanic do draw some people like myself back in and since I like monster collection in most games, the fact I can get to know new blades through getting them in this random mechanic does help keep me invested in Xenoblade Chronicles 2. 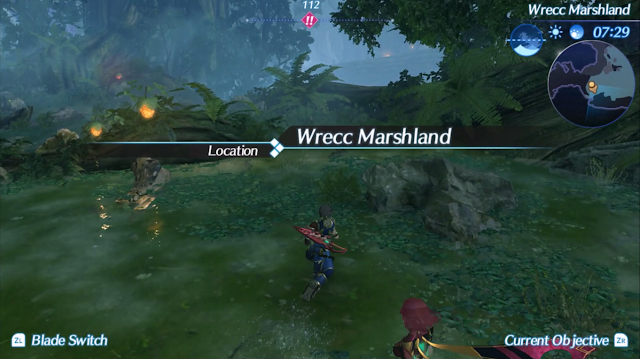 New Rare Blades are great, but it’s mostly because they thrive in Xenoblade Chronicles 2’s world of surprises and things to do. I find open world games always have a certain amount of replayability for me, just because there is so much to do in them and Xenoblade Chronicles 2’s feels like a fuller open world in my eyes. There’s treasure scattered all over the place, high level monsters to come back and fight once you’re ready, so many NPCs to talk to, towns to develop and much more. What makes this open world so compelling is that despite the amount of places it has, they all have multiple things to do in them. I’ve explored places at the start like Argentum a fair bit in my initial and current New Game Plus playthrough, but I know there are still things waiting for me in places later that I didn’t touch much in my first. It’s things like these that make Xenoblade Chronicles 2 so explorable and worth coming back to for people like me who enjoy its world. And if its world wasn’t full of enough to do, there is still more coming to Xenoblade Chronicles 2 to keep it installed on my Switch’s hard drive for the foreseeable future. The DLC schedule for Xenoblade Chronicles 2 suggests multiple updates coming and if they’re anything like the recent update that provided a whole new game mode in the form of New Game Plus with extra blades exclusive to it, there could be a few things to look forward to. The official DLC schedule on Xenoblade Chronicles 2’s website already alludes to a whole new adventure coming in a later update, along with a challenge mode that I’m very curious to know more about, so I’m sure that whatever content Xenoblade Chronicles 2 gets in months to come, in the likely chance I haven’t got all the Rare Blades I want by then, I will likely be checking them out as I do my best to complete as much as I can in this addictive, open-world JRPG experience. You can pick up Xenoblade Chronicles 2 on Amazon! Are you still playing Xenoblade Chronicles 2? What keeps you playing it? Edit note (19/4/2018): I gave this article a quick edit in the paragraph about rare blades as I incorrectly said there were quest-less blades (I thought this because I haven't gotten to Boreas's quest yet, but a few people commented on YouTube letting me know otherwise). I've tweaked that paragraph to reflect this while keeping a pretty similar meaning to what it is before and how I still feel. Sorry if it caused any confusion and thanks to those who let me know (and anyone who read this article :))!